Hedging is a strategy used as protection from market volatility. 3. Can I Hedge a Call Option With a Put Option? A long equity position means that you have purchased the share, while a short position means that you have borrowed shares from your broker and have sold them hoping to buy them back later at a lower price. Hedging involves protecting investments from price declines. For example, if a stock position has doubled in value and you believe it will rise further, implement a hedging strategy to protect your profits from market volatility. You could buy put options to hedge long positions, but recognize that options do not trade for all stocks. Put options give holders the right to sell the underlying shares at the specified strike price on or before expiration. Puts rise in value if the underlying stock price falls, thus protecting your portfolio against market downturns. For example, if your stock declines by 10 percent in value, the value of your put option should rise by 10 percent or more. Typically, you would buy one put option contract for every 100 shares of stock. 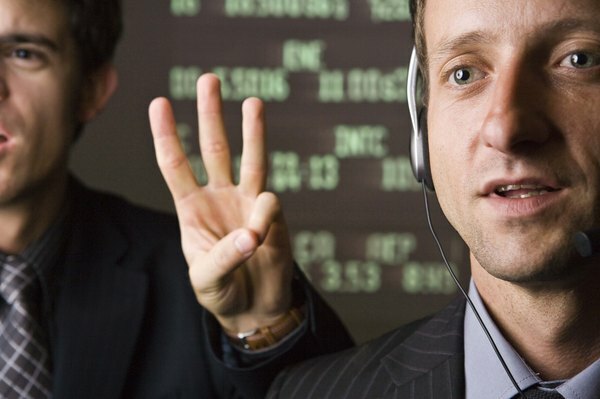 Option collars combine put options with covered calls, which are calls written or sold on an underlying stock position. The advantage of this strategy is that you can offset the cost of buying a put option with the proceeds from writing the call option. The collar acts as a hedge because the put option would rise in value if the stock price falls. However, if the stock price moves past the call strike price, you may have to sell the stock at below-market prices to the option holder or buy back the call option at a higher premium than what you had received when writing the calls. You could short a different security to hedge an existing long equity position. For example, if you are long a stock that is part of the S&P 500 index and you believe the index is overvalued because of recent market euphoria, you could short the exchange-traded fund that tracks the index. If your stock declines during a market correction, the profits from closing out the short position could offset some of the paper losses in your long position. You could also set stop-buy orders or buy call options to protect the short position if the market rally continues. Stop-buy orders become market orders at the specified stop price, and call options entitle holders to buy the underlying stock at the specified strike price before expiration. Portfolio diversification is a natural way to hedge your long positions. By spreading the risk among different categories of securities, you can protect your portfolio from significant losses if there is a sharp correction in one security or asset category. Rebalancing your portfolio to maintain a target asset mix of stocks and bonds would also hedge against market volatility.